Does it make "sense" to "add sense" in our daily professional life? Start / Explore / Blogs / Does it make "sense" to "add sense" in our daily professional life? Being understood and readable, while getting the reader’s attention, always seems complicated. Reasons are numerous: data everywhere and in a constant flow, multiple channels, multiple speakers not always consistent, time constraints. And if you’re not understood, the risk is very high that the message for the projects, and/or company will not succeed! To read the full post and add comments, please visit the SogetiLabs blog: Does it make « sense » to « add sense » in our daily professional life? (7/14/2014) Does it make "sense" to "add sense" in our daily professional life? 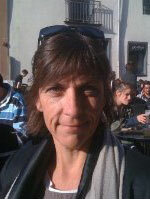 Click here to read Marie-Flore's whole profile.